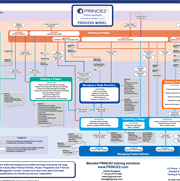 PRINCE2 is a method for managing projects. It helps you work out who should be involved and what they will be responsible for. Our accredited PRINCE2 Foundation classroom course introduces you to PRINCE2, and helps prepare you for the Foundation examination, which assesses whether you can demonstrate sufficient recall and understanding of the PRINCE2 project management method. This course conforms to the PRINCE2 2017 syllabus. This is an intensive three-day course leading to the PRINCE2 Foundation examination which takes place on the final day. Life changing….I will be applying a huge amount from this course. [The trainer] Dennis’ obvious mastery of the subject matter coupled with a simple, but very effective way of training, made this course very enjoyable and worthwhile. Practicing with past PRINCE2 Foundation exam questions and past exams is the best way to prepare for your PRINCE2 Foundation exam.ILX offer an exam simulator as part of their course and you can download a trial version from our download centre to give you a flavour of what will be expected in the actual PRINCE2 Foundation exam. The Foundation is the first of the two PRINCE2 Examinations you are required to pass to become a PRINCE2 Practitioner. This level is aiming to measure whether a candidate would be able to act as an informed member of a project management team using the PRINCE2 method within a project environment supporting PRINCE2. To this end they need to show they understand the principles and terminology of the method, specifically, candidates must be able to:Describe the purpose and major content of all roles, the seven principles, the seven themes and the seven processes.State which management products are input to, and output from the seven processes.State the main purpose, and key contents, of the major management products.State the relationships between processes, deliverables, roles and the management dimensions of a project.